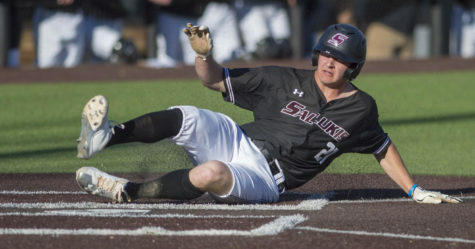 Not much went right for Saluki baseball in a 7-1 loss to Arkansas State. 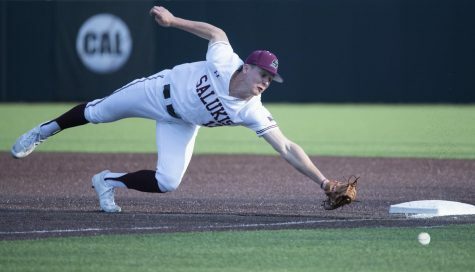 The Salukis had four hits all game and couldn’t solve the Redwolves pitching. 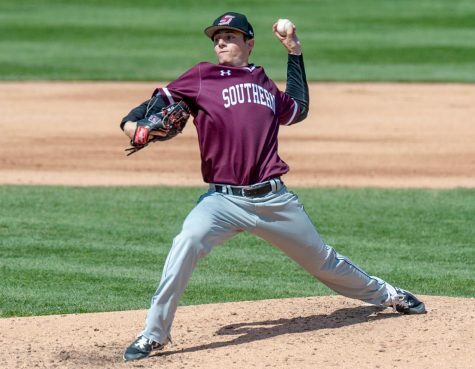 ASU freshman pitcher Peyton Culbertson (2-0, 4.64 ERA) earned the win, holding SIU to one run in six innings. 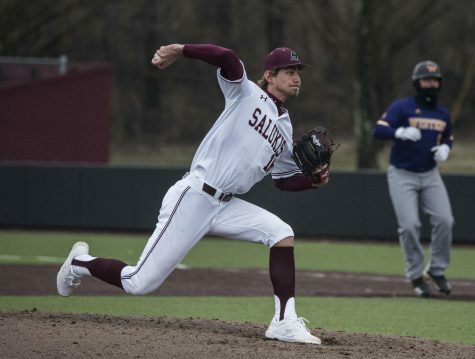 Senior pitcher Bryce Sablotny (3-4, 5.52 ERA) suffered the loss, giving up three runs on five hits in three innings — his shortest outing of the season. 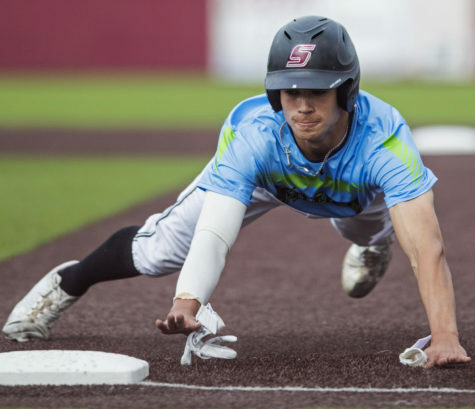 SIU scored its only run in the fourth when sophomore left fielder Greg Lambert, who reached on a double, scored on a fielding error on the shortstop. 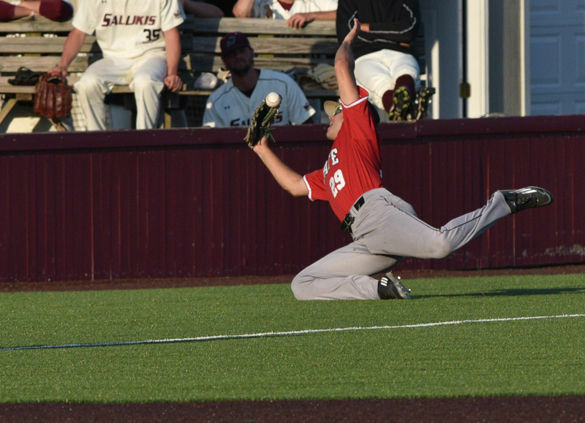 The Salukis trailed 3-1 in the sixth before the Redwolves scored two more when Lambert lost a fly ball in the sun. 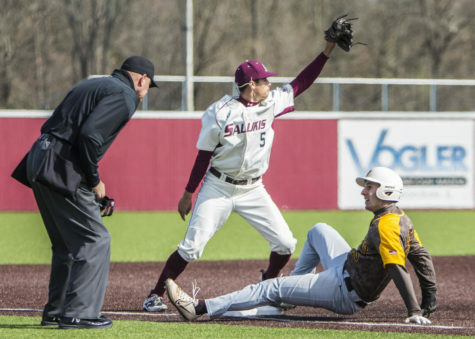 Trailing 5-1 in the fifth, SIU squandered its best scoring chance with two runners on and sophomore first baseman Logan Blackfan batting. Blackfan was called out on strikes to end the inning. 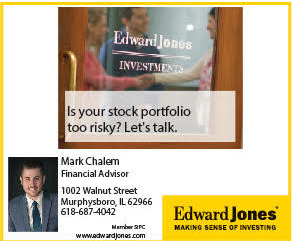 A scary moment happened in the top of the fifth when sophomore outfielder Jake Hand ran full speed into the outfield wall going after a foul ball. 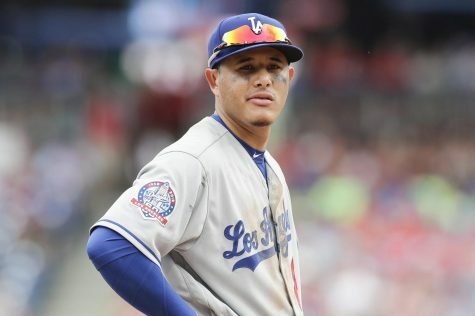 However, he finished the game. 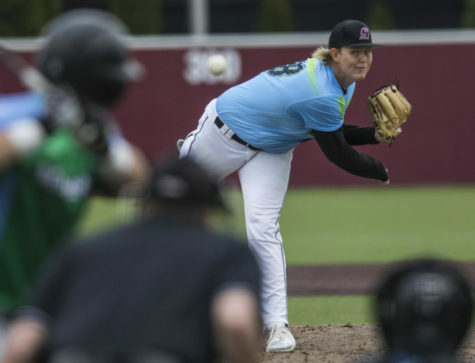 Blackfan struck out looking to end the game on a pitch that caught the outside corner. He glared at the umpire and into the dugout before walking away. 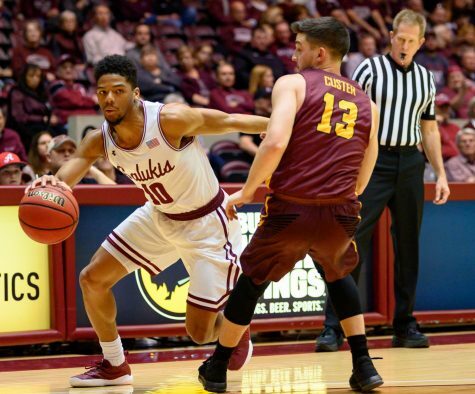 SIU starts a road trip with a three-game series against Illinois State starting at 6 p.m. on Friday in Normal.